Debra Marazzo, Portfolio Manager for Eastport Real Estate Services, facilitated a re-paving project for client, Kariff, LLC. Debra managed this project at Cap Plaza located at 31-35 Main Street, Marlborough, MA. Cap Plaza is home to the neighborhood Irish sports bar and grill, Funky Murphy’s. Due to the condition of the parking lot, it was determined that the replacement of the entire lot was necessary. 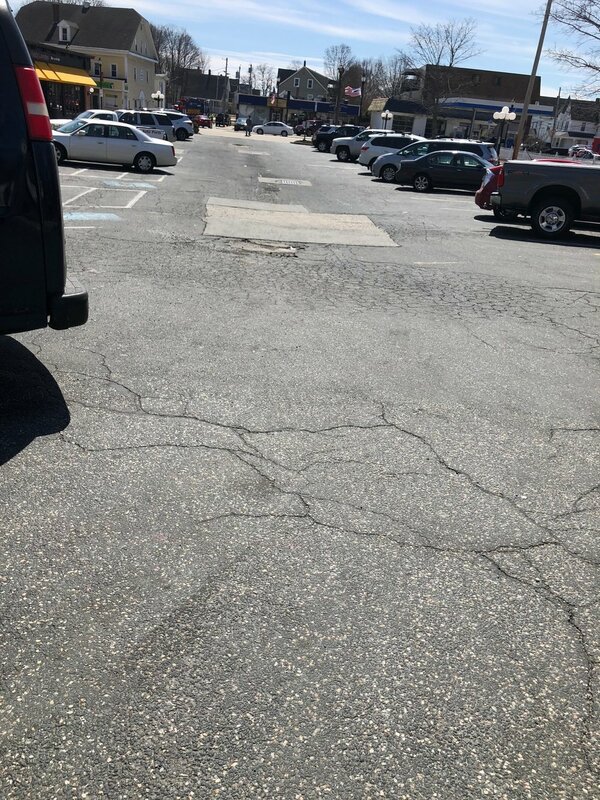 Debra obtained several bids from local contractors, and after careful consideration, Eastport and client contracted with M. Madden Construction to re-pave the entire 27,700 square foot parking lot. This project included excavating the existing asphalt, grading, a binder coat, and a final coat of Mass Spec Type I finish asphalt. This project began on October 1st and was completed in phases to accommodate our service oriented tenants that have frequent visitors in and out of the parking lot during the day and evening. We coordinated with the tenants and contractor to ensure minimal disruption and was able to complete the project on October 10th timely and efficiently. Eastport Real Estate Services is a property management and consulting firm with a singular intent: to create, enhance and preserve value for our clients. Eastport manages a wide range of property types, including commercial, retail, medical, and office/medical condominiums throughout New England. In addition to third party management services, Eastport also offers: brokerage coordination, development and acquisition, accounting, maintenance services, construction and capital coordination and asset management services. Founded in 1995, Eastport Real Estate Services is located at 107 Audubon Road, 2-301, Wakefield, MA 01880.